Use these audits by Justin Champion, to cash in on content. Think of your long-term content strategy like a savings account. If your goal is to retire someday, then you need a plan, and you need to be consistent with contributions. The more consistent you are and the better you are with contributions, the more you will get on your return on investment. But in order to retire, you need to be consistent month-after-month, otherwise, you’ll miss your goals and the ability to retire. The same can be said about your content. If you make a plan and are consistent in approach, then you’re giving yourself the best chance at achieving ROI from your content efforts. You’ll have the opportunity to grow an expansive library of content, making you and your business content-wealthy. Before you dive in and start developing a content plan it’s important to review and document your current initiatives and assets. Doing so will make sure you’re leveraging all your resources and nothing goes unaccounted for. Below are two important tasks you should complete before planning a long-term content marketing strategy. 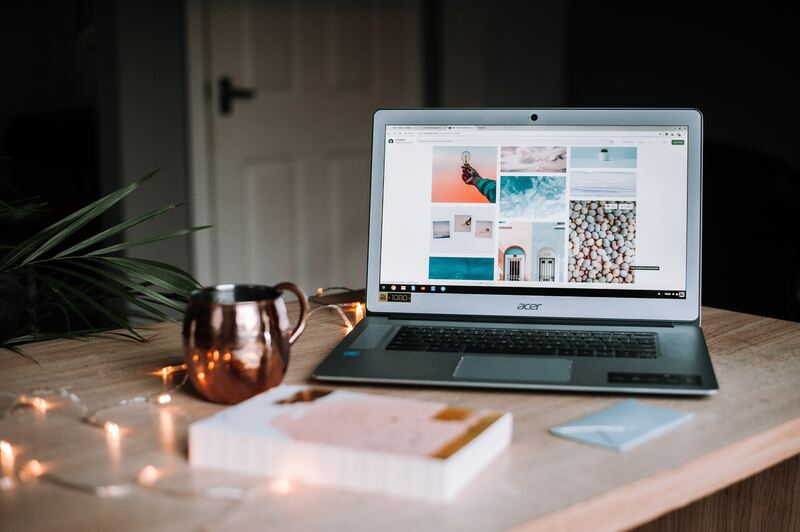 Your goal with the content audit is to help you identify all of the marketing assets that you have at your disposal and potentially identify gaps or opportunities in your content strategy. By doing your content audit, you’ll be able to identify resources that you already have, which could save you hours of content creation time in the future. No use in duplicating your efforts. Any additional notes that provide value or context. Let’s take a look at a content audit from a brand by the name of Maren Schmidt. Maren offers advice and resources backed by over 30 years of experience working with young children. Notice how Maren already has content spanning the awareness, consideration, and decision stage of the buyer’s journey for multiple buyer personas, and each piece of content corresponds to a specific lifecycle stage. Conduct an audit of your event-based initiatives. What I mean by this is you’ll need to take into account any upcoming projects, priorities, or events that would involve content creation. Not only will this exercise help you identify content that could support each initiative, but also, and more importantly, it can give you an opportunity to see how you can connect this content back to the buyer’s journey through an inbound marketing campaign. Take a look at what Maren did for her event-based audit. You can see that Maren has a few events and workshops that she may need content for. 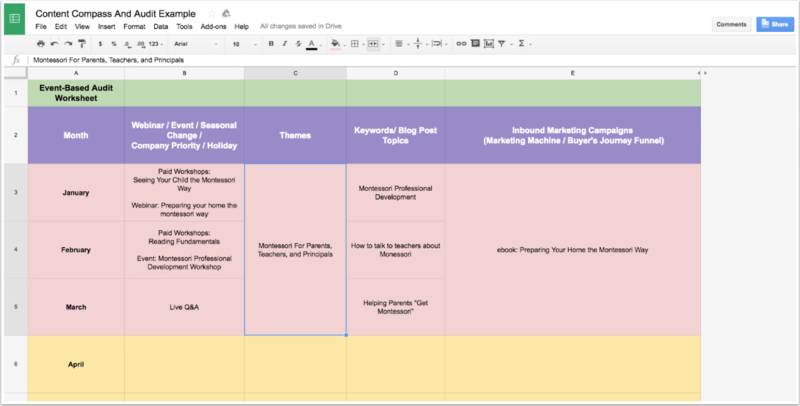 You can also see that the content is grouped into an overall theme for the next three months with associated blog topics that integrate with an inbound marketing campaign called “Preparing Your Home the Montessori Way,” which is an ebook. If you want to get started with conducting a content audit and an event based audit, then download the spreadsheet used above and get after it! 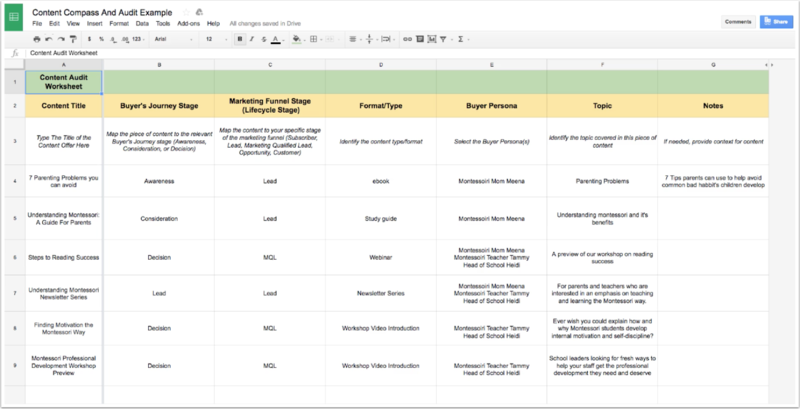 There’s even a bonus template included in the spreadsheet that will help you organize your long-term content marketing strategy. Justin Champion is the author of Inbound Content: A Step-by-Step Guide to Doing Content Marketing the Inbound Way (Wiley, 2018). For further information about how to create more effective inbound content, check out HubSpot Academy’s free training resources.